Groupon Deal: $174 per pax for 3D2N or $261 for 4D3N O-CE-N Bali by Outrigger Hotel Stay with Breakfast (Worth up to $521). For $174 per pax, you get a 3D2N O-CE-N Bali by Outrigger Hotel Stay with Breakfast (worth $347). 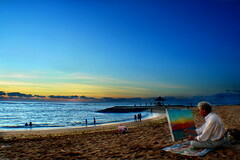 For $261 per pax, you get a 4D3N O-CE-N Bali by Outrigger Hotel Stay with Breakfast (worth $521).